This term, York class have been learning about animals and how we can help animals in our local environment. 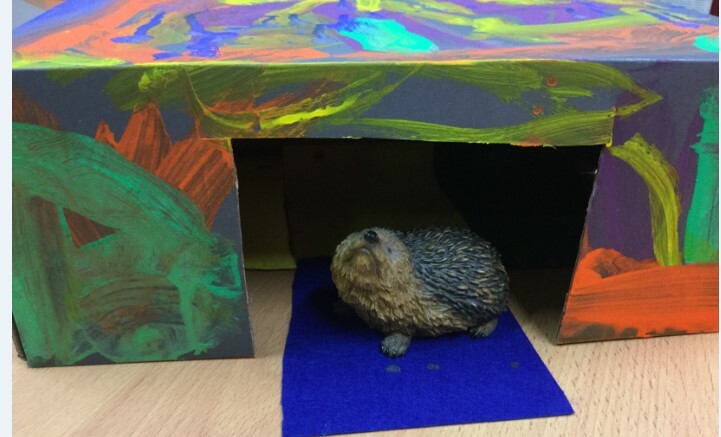 The children loved learning about hedgehogs and thought about what a hedgehog might need in their house. We heard some excellent ideas such as “a bowl for water” and “lots of bright colours so the hedgehogs can see the house in the dark”. Once the children had finished building their houses we placed them outside to see if they would attract any hedgehogs. As you can see from our pictures, our houses did attract some visitors! The children also learnt to evaluate their houses and think about what they would change next time. Raindrops have been trying hard to develop their French skills this term, they have been building their understanding of using greetings within French. We learned different phrases to be able to say hello, goodbye and ask how someone is. We succeeded with our learning by showing all of the children and our families in our first sharing assembly.